Ahh, the New Year… That lovely time of year where most of us unitedly make lofty goals of kicking our bad habits, getting into shape, losing weight and eating healthier food. While research shows that most people will fail at keeping their resolutions… my Fayetteville friends, this year can be different! Why can this year be different? Because we have Erica Chard to help us achieve these goals! 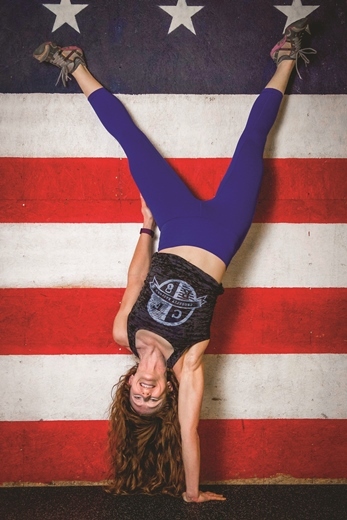 Originally from Michigan, her military husband, Mike, brought her to the Fayetteville area. 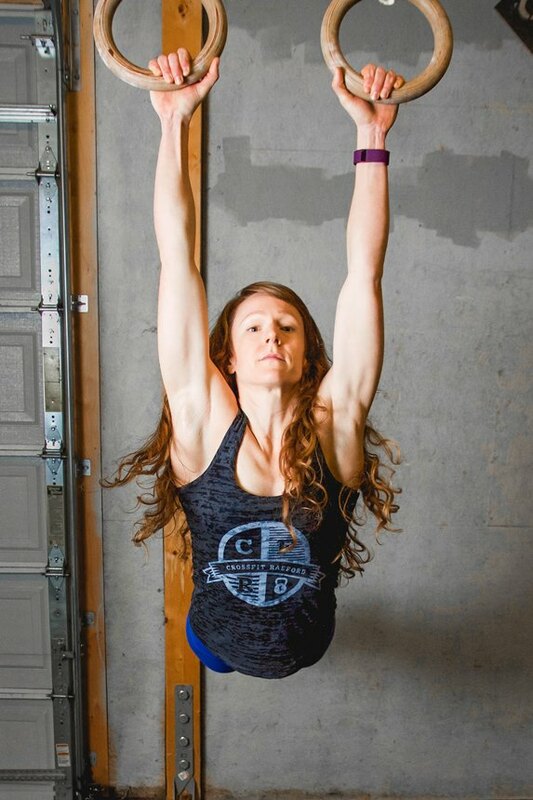 She has a long history of passion for competitive sports and recently retired from a women’s domestic pro cycling team in 2013. 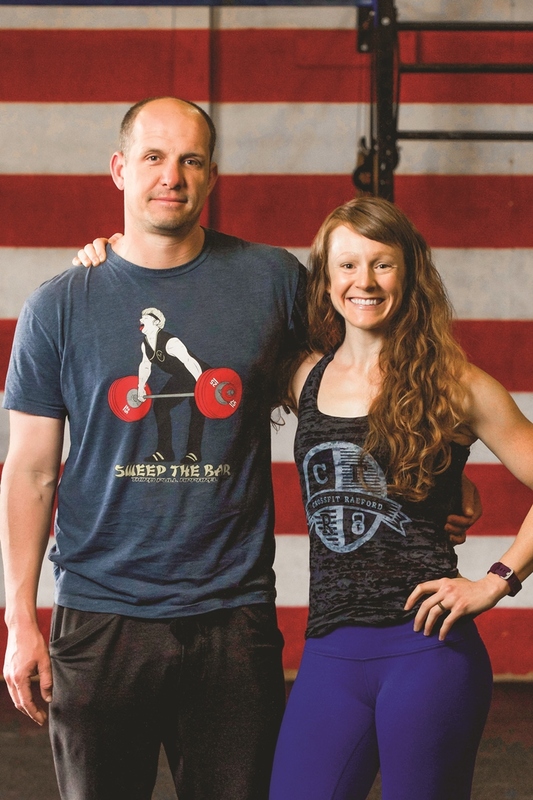 Desiring a competitive outlet to continue her fitness goals, her husband introduced her to CrossFit. 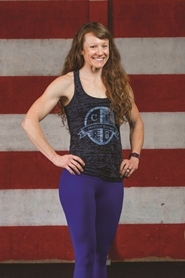 Although at first intimidated by the challenging fitness structure, she admired the strength and physique of the CrossFit women and became inspired. 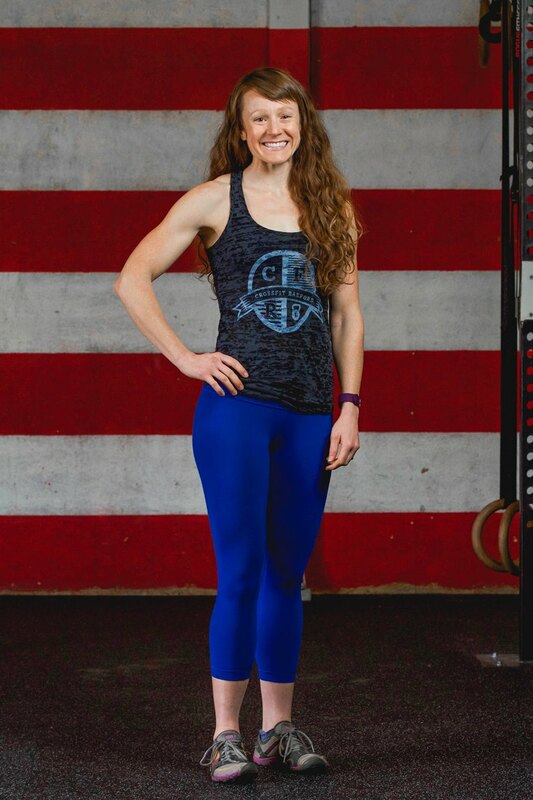 She fell in love with the program, became a coach herself, and opened her own gym called CrossFit Raeford. This is where I met Erica for the first time. As I entered Cross Fit Raeford, I was greeted by a group of ladies that had just finished a grueling workout. They appeared sweaty, proud and accomplished. One greeted me at the entrance and said, “Are you here to interview Erica? She is so inspiring. 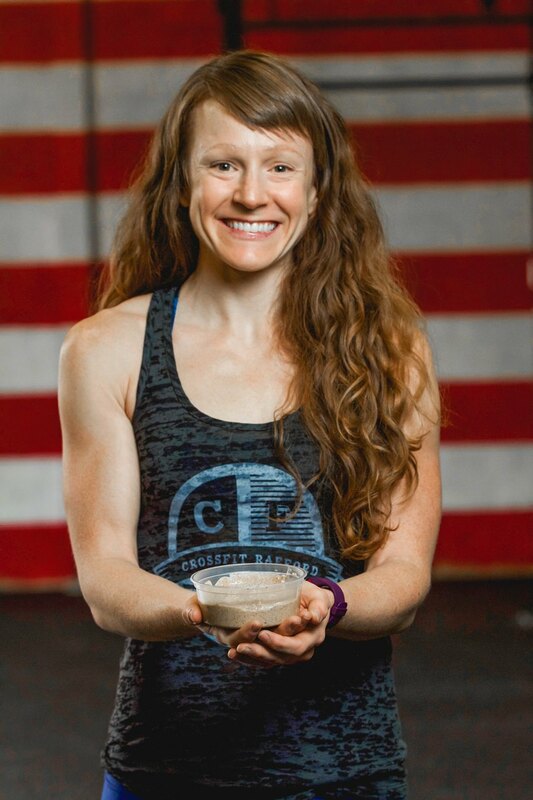 She has whipped my booty into shape and now I am working on a six pack.” I was introduced to the very petite, incredibly in-shape fitness and food guru, the founder of Fit Grub Food. 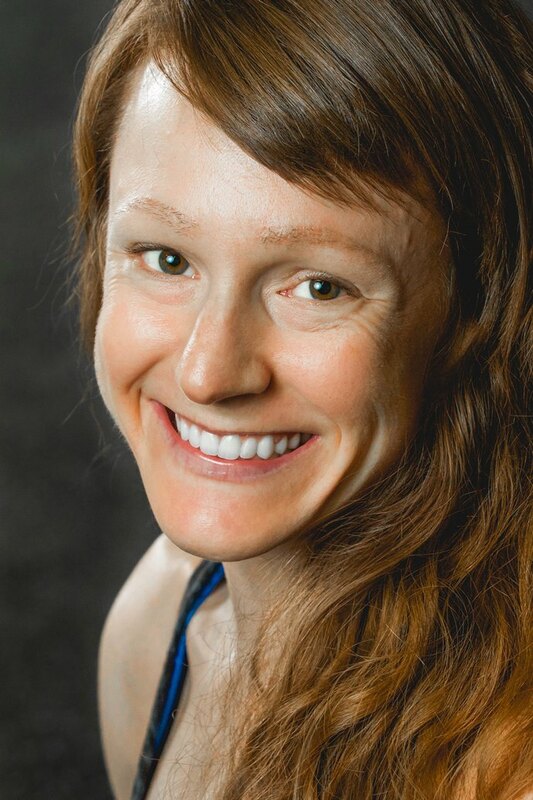 Because of her personal struggles of health challenges, allergies and digestive issues, she used her education to develop solutions to her problems by creating amazingly delicious snack food products that are wholesome and free of dairy, grains, gluten, soy and GMOs. Experimenting in the kitchen, she fell in love with her own concoctions and had to share. 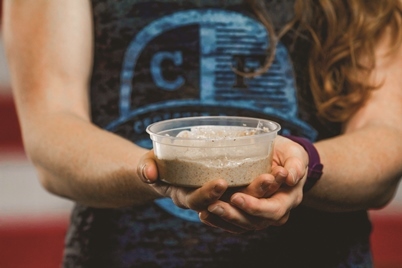 She began bringing her tasty creations to her CrossFit friends who then began encouraging her to sell them. From there, her experiments in the kitchen evolved to food production and progressed into her Fit Grub Food company. At her online Fit Grub Food Store, you will find items such as Coconut Cashew Cookie Butter, Fudgey Almond Spread, Organic Coconut Butter, Buttery Coconut Chocolate Chunk Cookies, Roasted Cashew Butter, Garlic Chipotle Almond Cashew Blend and Cinnamon Raisin Swirl Almond Butter. Occasionally you can find her Fit Grub Food at The Butcher and the Baker at the Fayetteville Farmer’s Market. Recently, Erica offered a special seasonal selection of baked goodies at The Butcher and the Baker that included: Pumpkin Spice Whoopie Pies, Chunky Monkey Protein Cookie, The Best Paleo Chocolate Chip Cookies, Pumpkin Pecan “Cheese Cake,” Chocolate Coconut Egg Candy and Dark Chocolate Chip Cashew Spread. Don’t these sound yummy? 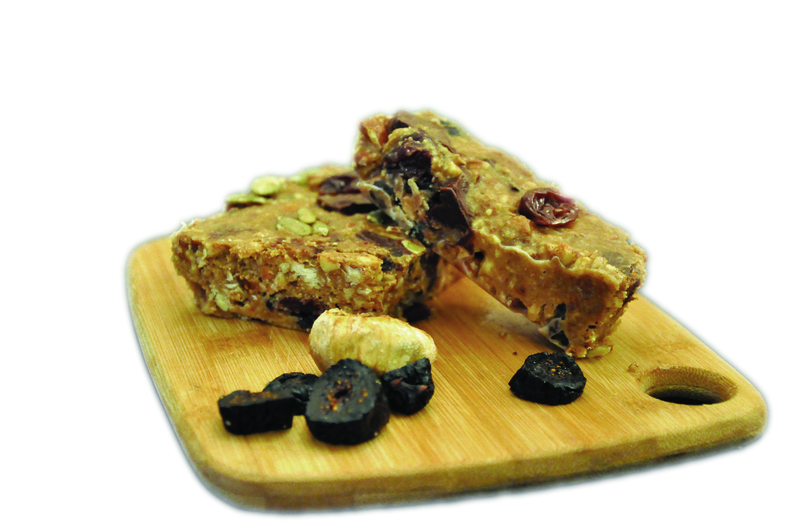 On Erica’s Fit Grub website, I saw that she had a blog featuring some great looking recipes. I asked her what her favorite recipe was on her blog. She surprisingly responded, “I should probably tell you that I hate recipes and following recipes. 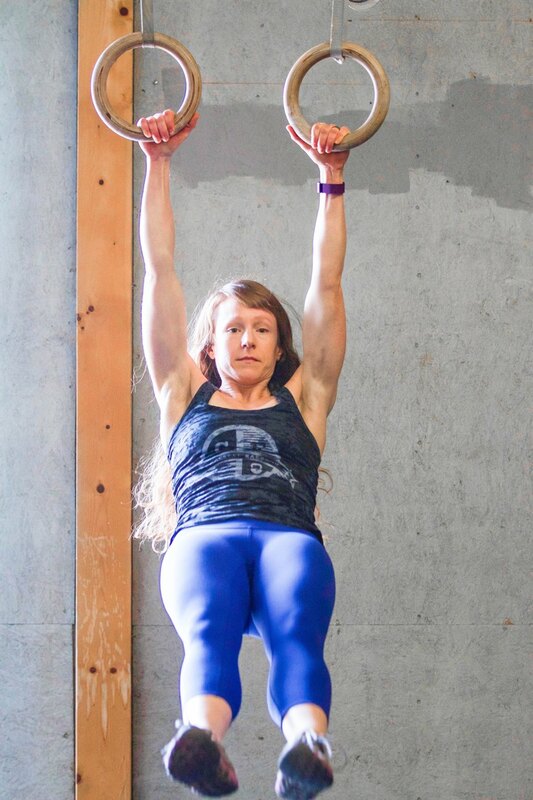 It has been the biggest challenge with Fit Grub because before I had to mass-produce things, I would throw stuff together and something amazing would come out. But I couldn’t replicate it. I also couldn’t report the nutritional content because I didn’t know the exact composition of the product. So when I had to start documenting all my recipes I felt stifled. Creating food is like art and then I had to put all this structure around it and I didn’t like it. But, I am forced to follow my own recipes with Fit Grub. I do have a really simple salad dressing that can be used as a marinade and an easy pancake recipe that is pretty darn good.” These recipes are Maple Dijon Mustard Salad Dressing and Fluffy Cinnamon Plantain Pancakes, both of which you can find on her website. Erica’s advice for great cooking is to use spices. She says she keeps all of her food full of spices to keep it flavorful and zesty. Eating healthy doesn’t mean having to eat bland. Simplicity is also a must. She rarely makes anything with more than five ingredients. She feels that one of the biggest deterrents for people doing their own baking or cooking is that there are so many recipes out there that are complicated, half of which require items that people don’t have in their cupboards. She is really into batch cooking where she spends a few hours on Sunday doing all her food prep for the week and creates simple dishes in different combinations from that prepped food throughout the week. While they are simple dishes, they don’t look or taste simple in the end. 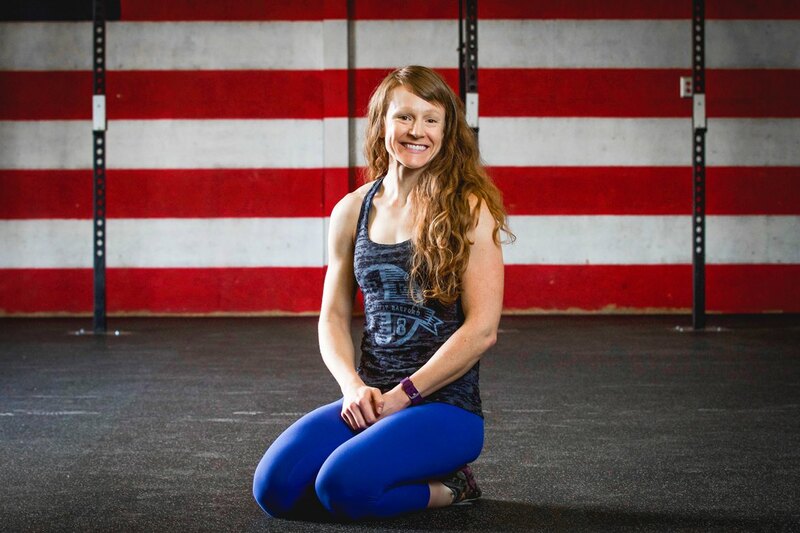 You can find Erica Chard’s CrossFit Raeford at 230 Lindsay Road. Her FitGrub Food website is www.wholeyouhealth.com.